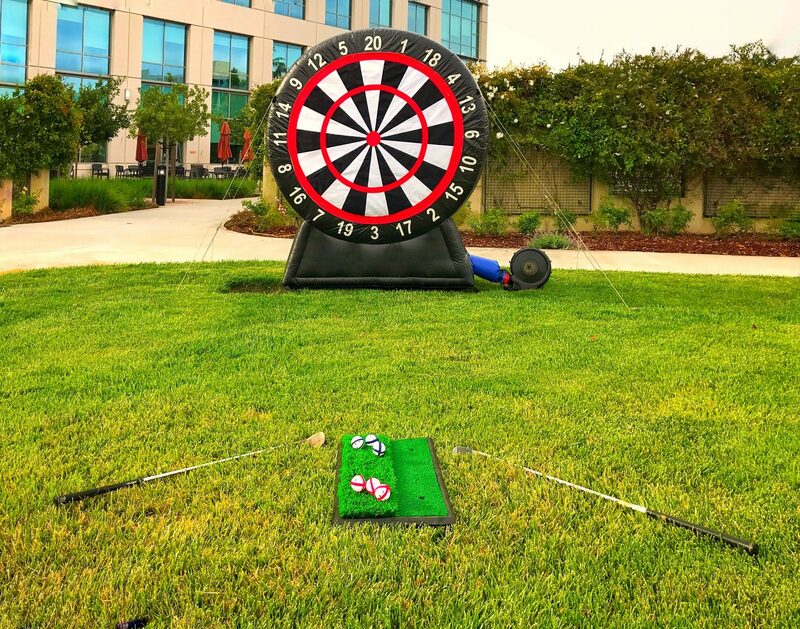 This inflatable golf dart game is a real crowd pleaser for golf players. The object is just like the game of darts. 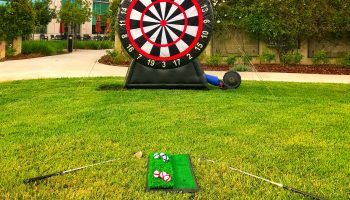 However, the twist is, we supply a left and right handed pitching wedge golf club and you hitting plastic velcro golf balls that stick to the inflatable scoreboard to score your points. We also include the golf mat to hit off of.